I have been up to my ears (and occasionally over my head) in pattern design this week. Things are looking good for a pattern release on Monday though, so I’m cautiously excited about that. I needed a mid-week break from staring at digital lines though, so I thought something quick and easy was in order. I grabbed the embroidery hoops I had collected and thankfully had enough, since the likelihood of me hanging the remaining fabrics at a later date is negative zero. I wish some were different sizes, but in our house you get what you get and you don’t get upset. I don’t have natural light on that wall (or anywhere), but you get the idea. And now I have something pretty to stare at when I’m doing all that pattern-testing pressing. Liberty prints are kinda like kids – you can’t pick a favorite. They are all equally beautiful and special in their own right. Happy almost Friday! Check back on Monday to see if I have a new pattern or an excuse. It’s really 50/50 at this point. ps: and in case you’re wondering, no way did I cut them! There are precious 8×12 cuts of fabric stuffed behind each hoop! It’s a great way to display precious fabric before you figure out what to do with it. Mmmmmmmm, I was so happy to read you didn’t cut them. I don’t know why I felt so panicky about that, but you’ve reassured me. They add quite the bit of cheeriness! pinkalicious, ftw. Love it. 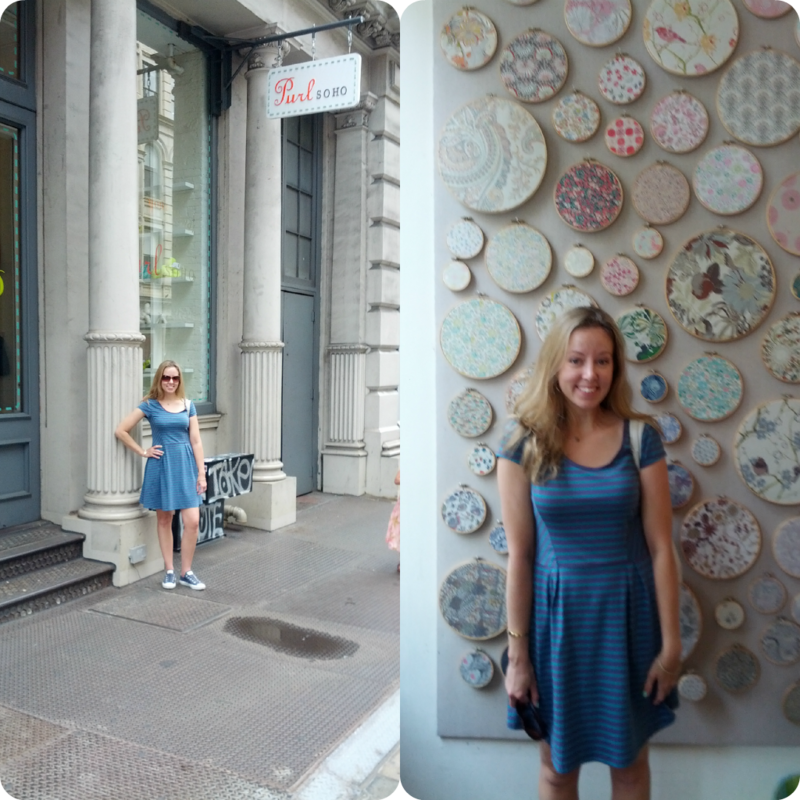 must go to purl soho. asap. Oh great idea not cutting them! I have a few liberty prints that I want to hang but haven’t because I hate the though of cutting it just for that! Cute! And, by the way, I think we are iron twins. Which is kind of like being blood brothers, I think. Oh wow, it looks great! 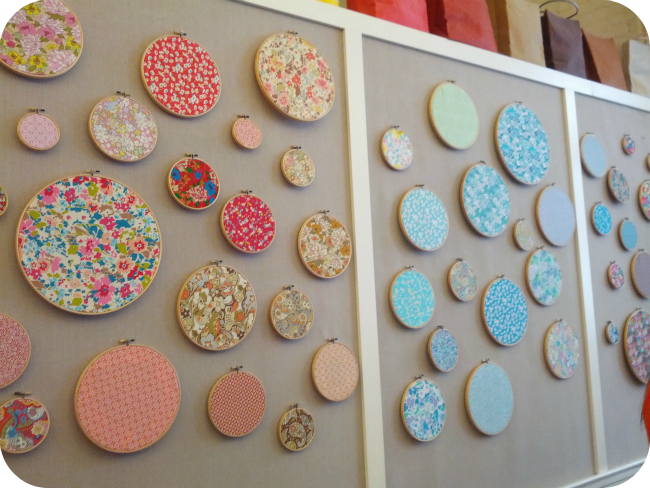 Liberty fabrics are my favorite, and your wall looks so nice and cheerful! Gorgeous! I love the way liberty feels! Very pretty. I have been battling the urge to buy liberty fabric. It’s so beautiful. I would have to make a quilt with it.